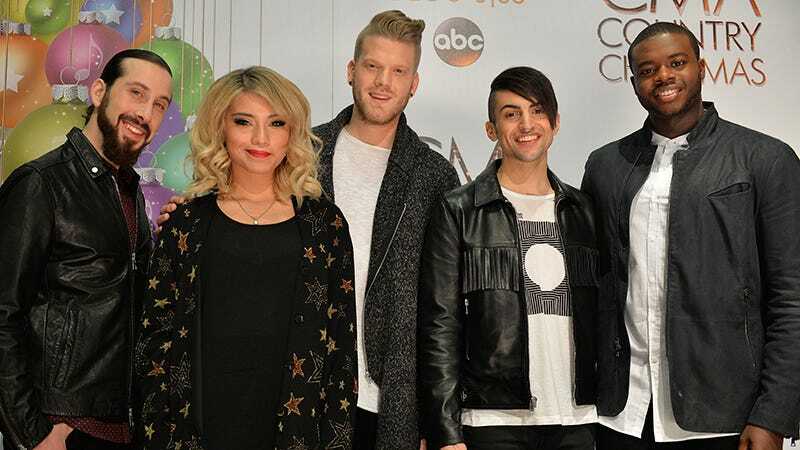 Though the talented members of Pentatonix are doing a thing in a way that millions of people seem to enjoy with all their hearts, they’ve never really clicked for me. In fact, every song of theirs I hear or piece of news I read about them—especially the one about a recent performance at Cracker Barrel—actually enrages me! But enough about my stupid opinions. Not long from now, in a galaxy that is unfortunately our own, Pentatonix will perform John Williams’s classic score from Star Wars live at the American Music Awards. Being in the audience for that will probably be less fun than being fed to the Sarlacc, but who am I to have an opinion. Their album went to No. 1! My ears didn’t bleed while listening to those...interpretations...but that doesn’t mean they enjoyed them. Billboard writes the group will receive “support from a full symphony orchestra,” which sort of feels like an insult to everyone on that stage who’ll be playing an instrument other than their mouth. But, again, no one cares how I feel about Pentatonix.